With today’s options in cosmetic dentistry, it’s no wonder that so many of today’s patients are turning to cosmetic dentistry in Brooklyn. Perhaps one of the best aspects of cosmetic dentistry is the diversity in treatment options available. Whether you want your teeth to be whiter, brighter, straighter, fuller, or more radiant, cosmetic dentistry in Brooklyn offers a wide variety of treatment options! Today, we’re going to explore the remarkable treatment options available to patients through cosmetic dentistry, as well as how to know which services are right for you! Invisible braces such as Invisalign offer the same beautiful results as braces, no brackets or wires required!Invisible braces work by utilizing a series of aligners. Each set pushes your teeth closer and closer to the desired final position. This feature is what makes invisible braces so popular among patients. Even at a conversational distance, no one will be able to tell you’re wearing them! Social media trends like the Zoom Whitening Challenge have pushed teeth whitening into the mainstream. Consequently, more patients than ever are asking about teeth whitening! 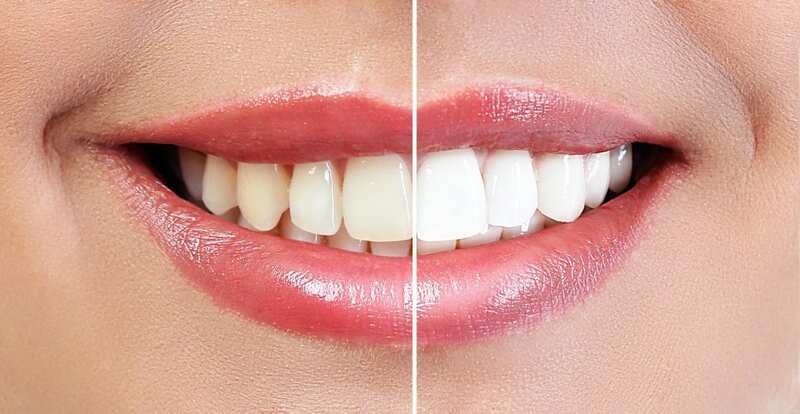 In-office whitening treatments achieve a deeper whitening than any at-home kits, and can leave your teeth several shades whiter than when you came in. Dentures are a great options for patients with one or more missing teeth, allows large portions of your smile to be filled in. No one will know you’re wearing dentures, and Advanced Dental Care has spent years perfecting our dentures treatments! There’s no need to worry about fit, aesthetic, or loose dentures any more. Advanced Dental Care offers dentures that pit perfectly, allowing you to eat, smile and speak with complete comfort and confidence! Is there an exact smile in mind you’d love to have? Then a full smile makeover is what you’re looking for. A smile makeover allows our team at Advanced Dental Care to combine one or more cosmetic treatments to create one flawless smile. Patients can bring in pictures or other references, and our team will leverage the cosmetic dentistry and restorative dentistry techniques at our disposal to craft your dream smile! Advanced Dental Care is the premier provider of cosmetic dentistry in Brooklyn. Additionally, our patients know us as the premier implant dentist in Brooklyn, the premier provider of Invisalign in Brooklyn, and the premier provider of dentures in Brooklyn. Get in touch with us today at (718) 624-1970!